ARABIAN GULF — The USS Theodore Roosevelt Carrier Strike Group (TRCSG) departed the U.S. Navy’s 5th Fleet area of operations Oct. 13, after more than six months in the region, and headed toward its new homeport of San Diego. While in theater, USS Theodore Roosevelt (CVN 71), along with the rest of the strike group, supported Operation Inherent Resolve, the effort to degrade and ultimately defeat the ISIL terrorist group and the threat it poses to Iraq, Syria and the wider international community, along with maritime security operations and theater security cooperation efforts in the region. “I am incredibly proud of this team, and every day I am amazed at what they accomplished,” said Capt. Craig Clapperton, commanding officer of Theodore Roosevelt. The strike group is made up of Carrier Air Wing (CVW) 1; Destroyer Squadron (DESRON) 2 with the destroyers USS Farragut (DDG 99), USS Forrest Sherman (DDG 98) and USS Winston S. Churchill (DDG 81); and the Ticonderoga-class guided-missile cruiser USS Normandy (CG 60). Theodore Roosevelt deployed from Naval Station Norfolk March 11 and entered the 5th fleet area of operations April 7. The TRCSG carried out 1,812 combat sorties totaling 10,618 combat flight hours, taking on 14.5 million gallons of jet fuel and expending 1,085 precision-guided munitions. The carrier has traveled more than 250,000 nautical miles since leaving on deployment. DESRON-2 planned and executed multiple high-profile missions, to include countering lethal aid shipments off the coast of Yemen and the Strait of Bab al Mandeb. Additionally, DESRON-2 ships assisted in maritime security operations in the Arabian Gulf and the Gulf of Oman to include accompanying U.S. and other nation’s merchant vessels for a limited time. While in 5th Fleet, Rear Adm. Roy J. Kelley relieved Rear Adm. Andrew Lewis as commander, Carrier Strike Group (CSG) 12, and Theodore Roosevelt also held a change-of-command ceremony when Clapperton relieved Capt. Daniel Grieco as commanding officer. Theodore Roosevelt also made three port calls to Bahrain and two port calls to Dubai. “The entire Big Stick and Carrier Air Wing 1 team did a phenomenal job throughout this deployment. 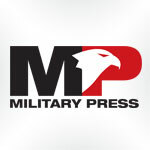 They exceeded every expectation, but I think the most impressive accomplishments were their lethality and effectiveness in combat operations and their impressive ability to operate at the very edge of human performance in a brutal environment with such precision day in and day out,” said Clapperton. With the 5th Fleet area of operations behind them, Theodore Roosevelt enters the 7th Fleet, where the ship will participate in exercise Malabar and maritime security operations in support of peace and stability in the Indo-Asia-Pacific region. This final leg of its deployment will see the ship transit to San Diego to complete a homeport change from Norfolk, Virginia.